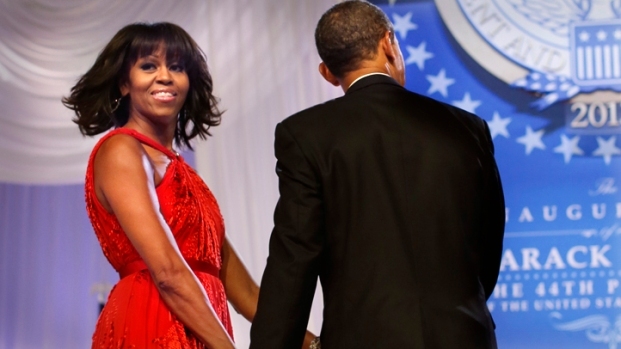 Barack Obama took the oath of office on Jan. 21 with his hand on not one but two bibles: the Lincoln Bible, as he did during his first inauguration, and the bible that Rev. Martin Luther King read when he traveled. The day before, during a smaller swearing-in ceremony, he took the oath on the Robinson Family Bible, a gift from First Lady Michelle Obama's father, Fraser Robinson III, to his mother, LaVaughn Delores Robinson, in 1958. Obama's choices continue a long tradition of presidents offering a peek into their souls with a very quiet and personal gesture. But it wasn't always so. George Washington's first inauguration was such a slipshod affair that the Bible used was a last-minute loaner randomly flipped open to Genesis 49:13: "Zebulun will live by the seashore and become a haven for ships; his border will extend toward Sidon." Not exactly inspiring stuff. And for the next century, the Bible and passage of choice for inaugurations were barely noticed, if at all. But since the 1873, the record gives us hints about the men, their faith and their times. 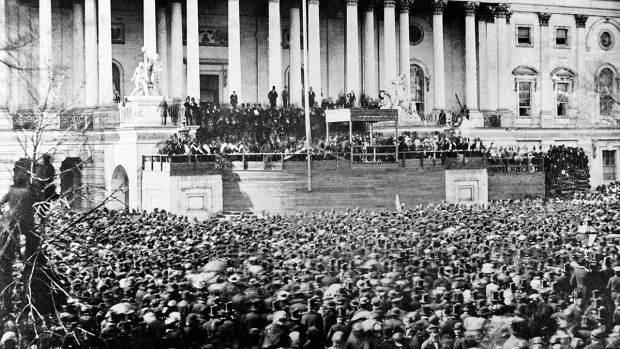 From Rutherford B. Hayes' inauguration in 1877 through Woodrow Wilson's second in 1917, Psalms ruled the day. During that span, the oath of office was administered 13 times, with Psalms 31, 33, 46, 91, 112, 118, 119 and 121 all making appearances. This was largely due to familiarity, said Robert Wuthnow, a Princeton sociology professor who specializes in the connection between religion and politics. "The majority of presidents through Wilson were Episcopalian or Presbyterian (or close kin such as Dutch Reformed)," Wuthnow said. "Through much of that period, the Psalms were sung in Presbyterian and other Calvinist churches and were regularly read in the liturgy in Episcopal churches. So presidents would have been familiar with the Psalms." After Wilson, though, Psalms fell out of favor. In his four inaugurations, Franklin Delano Roosevelt laid his hands on I Corinthians 13, which focuses on the importance of charity or love, depending on the translation, and ends with the line, "And now abideth faith, hope, charity, these three; but the greatest of these is charity." Bob Clark, Supervisory Archivist at the Franklin D. Roosevelt Presidential Library, says the quote is consistent with FDR's philosophy. "His selection of First Corinthians is very consistent with the love, hope and charity—the charity part of what he viewed man's responsibility to man was, and I think there was a subtle lesson being taught there," Clark said. After FDR's death in 1945, Harry Truman said he could barely find a bible, and didn't put thought into choosing a verse. For his 1949 inaugural, Truman brought two bibles, one of which was opened to Matthew 5, also known as The Beatitudes, ("Blessed are the…). It was a popular presidential passage: George H.W. Bush used it in 1989. Tod Lindberg, author of "The Political Teachings of Jesus," and a research fellow at the Hoover Institute, says the selection speaks to the difficulty the men might have had reconciling the power of the office. "When you look at the Beatitudes, what you see is a kind of hierarchy of virtuous right behavior," Lindberg said. "I'm guessing what attracted these men, who were about to occupy very lofty positions with awesome responsibilities, was the idea that working for others, when you can do so is the main part of the job. Thus the peacemakers are blessed, those who hunger and search for righteousness are blessed, blessed in the sense of happy. It's a powerful message." 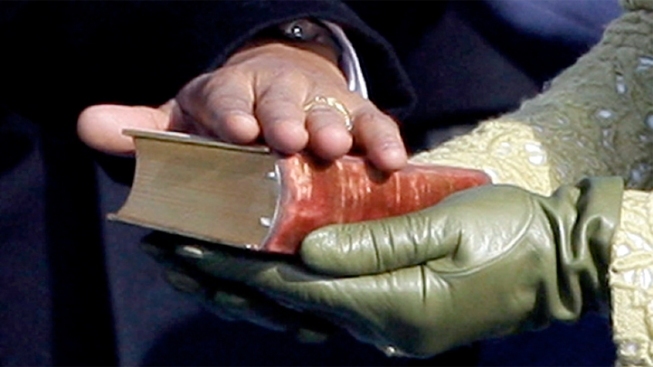 Richard Nixon, whose Quaker faith traditionally would have prevented him from taking any oath, was twice sworn in with his hand upon two family bibles, one of which was open to Isaiah 2-4, arguably the most famous piece of scripture about peace: "He will judge between the nations and will settle disputes for many peoples. They will beat their swords into plowshares and their spears into pruning hooks. Nation will not take up sword against nation, nor will they train for war anymore." "Swords into plowshares" has long been a part of the Quaker tradition, dating back to George Fox, founder of the Religious Society of Friends, who cited it in his early epistles. Though it may seem ironic that Nixon, a man who sent thousands of U.S. troops to Vietnam, would hold such a passage so dear, retired University of Tennessee history professor Larry Ingle says that Nixon's action in Southeast Asia were arguably in keeping with his faith. Nixon was trying to "achieve a structure of peace," he said. "I'm positive he saw his policies as leading to a peaceful solution. Getting us out of Vietnam, bringing the troops home in a way that would create lasting peace." The nation's next two-term president, Ronald Reagan, twice put his hand upon a Bible opened to 2 Chronicles 7:14: "if my people, who are called by my name, will humble themselves and pray and seek my face and turn from their wicked ways, then I will hear from heaven, and I will forgive their sin and will heal their land." For Reagan, the choice of Bible and scripture were deeply personal, coming from his mother, Nelle, according to Reagan historian Craig Shirley. "That wasn't only his mother's bible, but she had written, next to that passage about the healing of the nation, 'A most wonderful verse for the healing of a nation,'" said Shirley. "That passage about healing the land … among devout Christians, it always had a lot of meaning. Especially in the '60s and '70s. Remember the strife that was going on in America with the Vietnam war and Nixon's resignation and the riots on the campuses and all the other problems in the country. Among Christians, that passage from Chronicles and that particular phrase about healing the land took on a special meaning." To the unenlightened, Bill Clinton's choice of Galatians 6:8 -- "For he that soweth to his flesh shall of the flesh reap corruption; but he that soweth to the Spirit shall of the Spirit reap life everlasting" -- might elicit a sophomoric snicker. But the passage has nothing to do with sins that were nearly Clinton's downfall. "The general theme of Galatians is to contrast living by the 'law,' which means the Jewish law and all its interpretations, and 'faith,' which means commitment to Christ," said Jesuit priest Raymond Schroth of America magazine. "'Flesh' in this context is not specifically sexuality, but rather a long list of vices representing self-indulgence, including anger, strife, etc." In 2009, Obama became the first president since Lincoln himself to be sworn in on the Lincoln Bible, which was originally a gift from Thomas Carroll, Clerk of the Supreme Court, and was opened to a random page during Lincoln's first inauguration. For Obama, as media savvy as any president this side of Reagan and FDR, it's a choice brimming with symbolism that goes far beyond the link between Lincoln and the nation's first black president. It speaks to their shared history as Illinois lawyers, Obama's promise to reach across the aisle and work with his Republican colleagues, and a nod to the ideological divide that strains the union's bonds.